As the Halloween season is drawing near we wanted to end it with a bang! 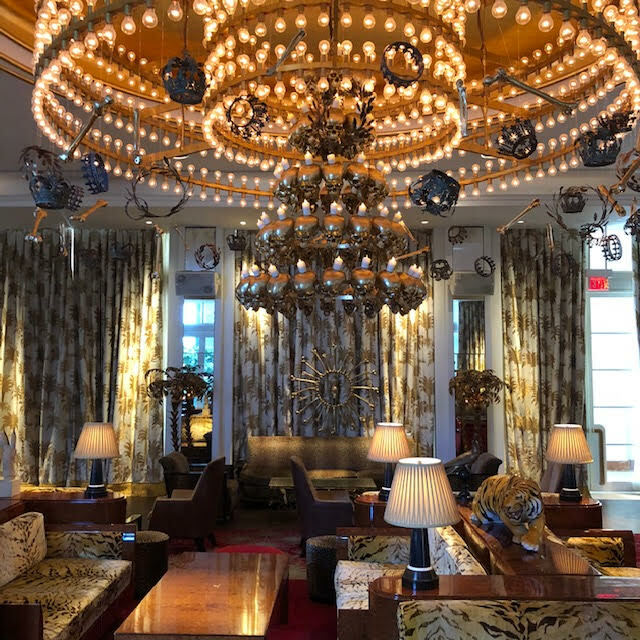 We are honored to work with the famous Faena Hotel in Miami Florida for another year in a row! This year started out like any other, with a brief meeting via email with their creative director. They relayed that they wanted the theme to revolve around skulls and bones. To some that might sound too broad of a request but to us it's a dream because we get to be as creative and out of the box as we want, with no limits. Our design process began two months ago with only the title of the event to go off of, “THE NIGHT OF THE GLAM DEAD”. 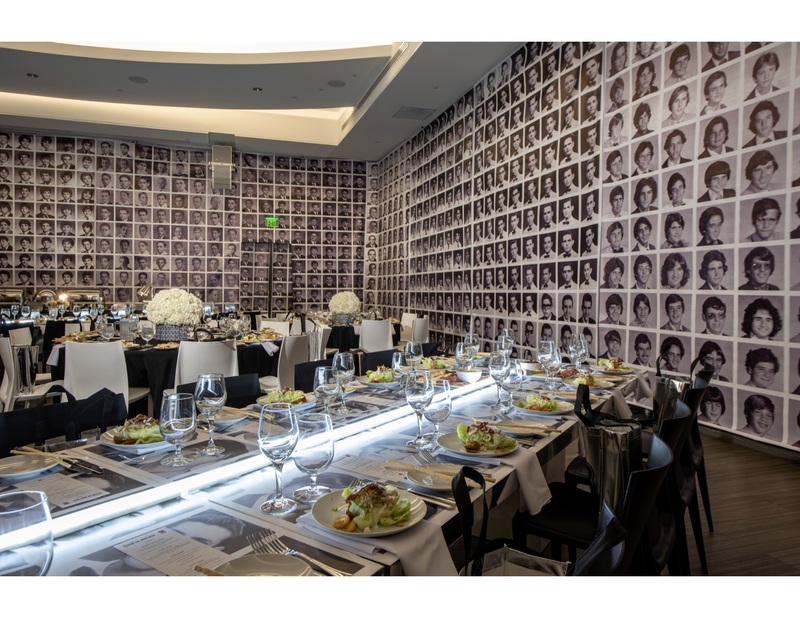 From there we began to design concepts such as the skull chandelier, skull candelabras, black candles, as well as a few other skull and bones decor pieces to be placed throughout the venue. In honor of Faena, we of course had to have everything be painted gold. When we work with Faena we never bring in anything store bought. Everything we create and bring in is custom fabricated specifically for them. Before we could paint everything gold to match their aesthetic, the vibe was very dark and morbid but once the painting was complete we knew we nailed it! 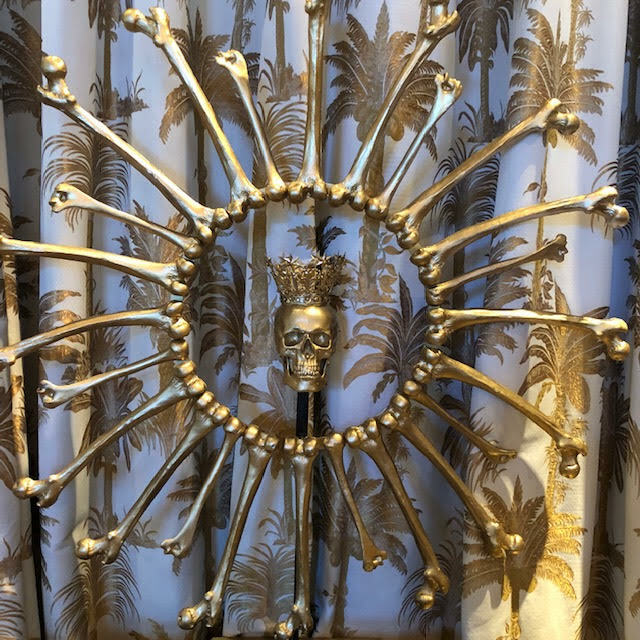 Our favorite piece we designed for the event has to be the skull chandelier. 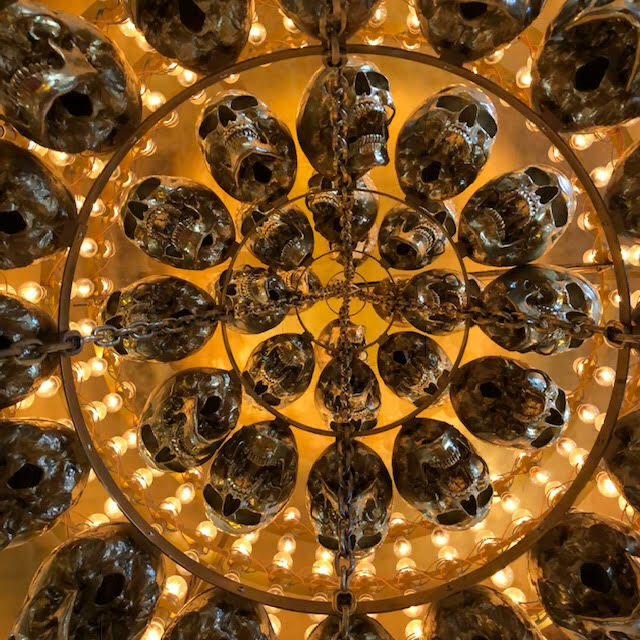 Fun Fact: the chandelier held 75 skulls that weighed over 250lbs. Imagine the work it took getting that installed, but it was so well worth it! Faena absolutely loved the concept when we presented it to them but a critical choice had to be made regarding the installation. 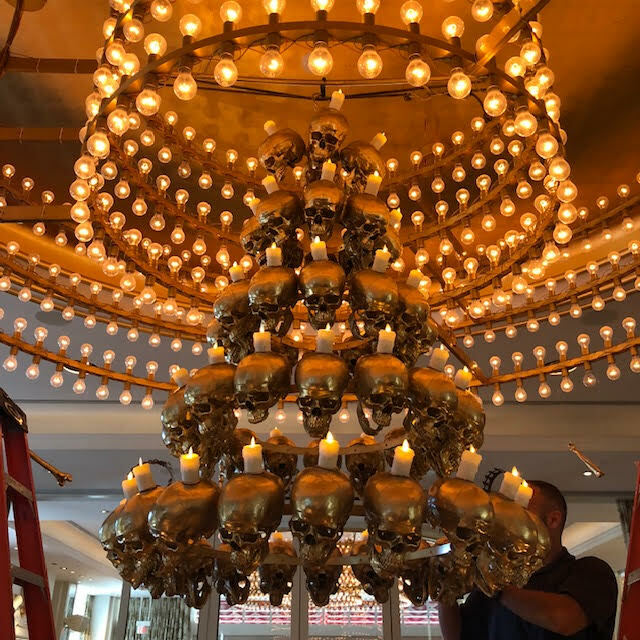 We needed to decide whether we would drill into the gold leaf ceiling to create a hang point or would we hang it from the center of the already existing chandelier. Needless to say, both options kept me up at night! We had to be extremely careful with installation because the existing chandelier was made by none other, artist Alberto Garutti. 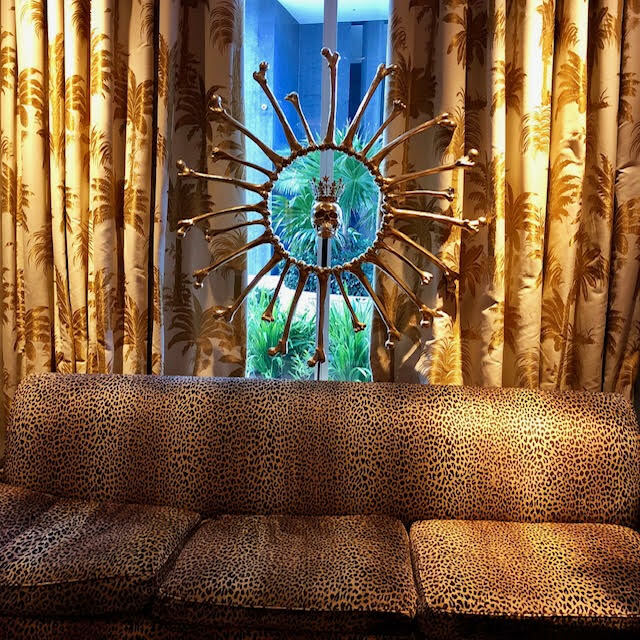 He named the piece “Storm” and has become a very famous chandelier inside the Living Room of the Faena Hotel. It has 935 bulbs which flicker every time lightning strike the Pampas in Argentina. The artwork is dedicated to all those who at this very moment are looking at the sky. By processing lightning data from a selected 1000 meter by 1000 meter circular region of Argentina, the works allow for a geo-conceptual transformation, a visit to the stormy skies of the Pampas. However, in the end we decided to hang it from the existing chandelier and use its framework as support for our chandelier. It was an amazing compliment when people asked if our pieces were created by artist Damien Hirst. There could be no greater compliment than to be compared to that great artist whose work is found throughout the hotel. We love working with the Faena Hotel and look forward to our next creation!